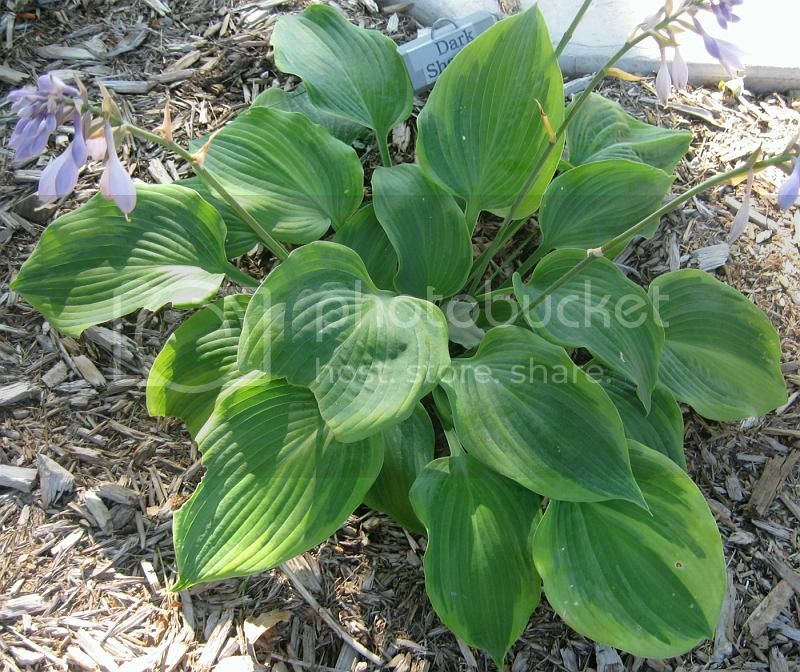 If you are looking for a dark colored hosta to complete your hosta color palette, then a great choice would be today's hosta, hosta 'Dark Shadows'. When I first received mine, I though I must have received the wrong hosta. From everything I had read, 'Dark Shadows' one of the darkest colored hostas available. The hosta I received certainly wasn't any darker then my other "green hostas". But as you can see from the pictures, this one darkens as it matures. 'Dark Shadows' has very thick leaves that start off blue with chartreuse margins, that darkens to dark green with chartreuse margins as summer progresses. It reminds me of a muted, dark version of 'Liberty' in it's leaf shape and coloring. 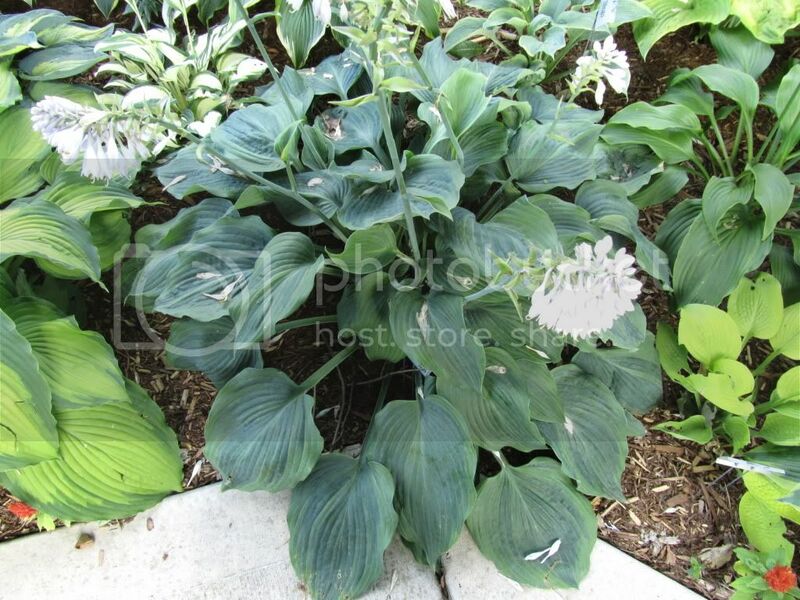 Because of the dark coloring it will eventually hold, it's best to pair this hosta with other hostas that are either gold and have gold or white wide margins.